Food and non-alcoholic beverages won’t make anyone feel left out. A bartender keeps an eye on alcohol intake and switches to non-alcoholic when needed. Knowing beforehand will prevent people from getting sick. A shoes-on policy will help feet from getting injured on the floor. This will avoid slip and falls. It’s easy for something to catch fire when overloaded. Make sure you have this under control. Always keep it positive, even when gifts are awkward. For those people who have had just too much to drink. This promotes pool safety, and prevents falling in. Your guests may not be able to drive. Offer them a sofa or spare bedroom. 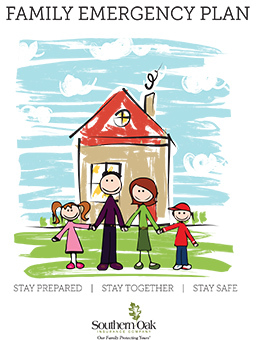 This promotes holiday home safety and helps protect your home insurance Florida policy. 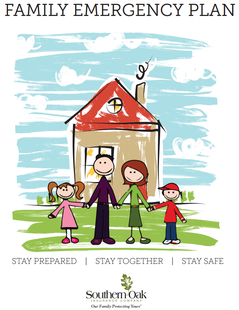 Keep your family safe all year long and download our Family Emergency Plan!